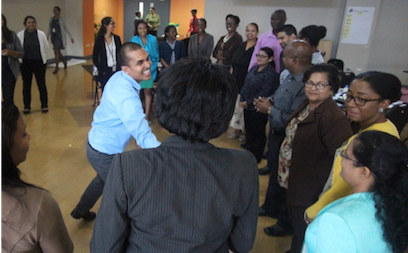 CIDT have provided services to the Caribbean Development Bank (CDB) since 2013, most recently the design and delivery of Project Cycle Management (PCM) Training in 19 of the Bank’s Borrowing Member Countries (BMCs). Since November 2017 the CIDT team has delivered a suite eight modules in six countries – Barbados, Grenada, Trinidad and Tobago, Guyana, the Bahamas and the Turks and Caicos Islands. The next round of training is scheduled to begin in late May 2018 in Belize, St Kitts and Nevis and St Lucia. CIDT pair international trainers with regional associates in a delivery model that has been very well received across the region – an average of 97% positive participant feedback in the recent quarter. The training modules cover a wide range of tools and themes around the project cycle, including project design, management, monitoring and evaluation to more specific PCM approaches, such as project appraisal, managing technical assistance projects and procurement. Each module is contextualised with regional case studies and examples. “The delivery of the module was exceptional, coming from a background where I had no prior knowledge of M&E and still be able to fully grasp all concepts, tools and techniques relating to M&E in 3 days, speaks to the quality of the materials delivered by the facilitators”. 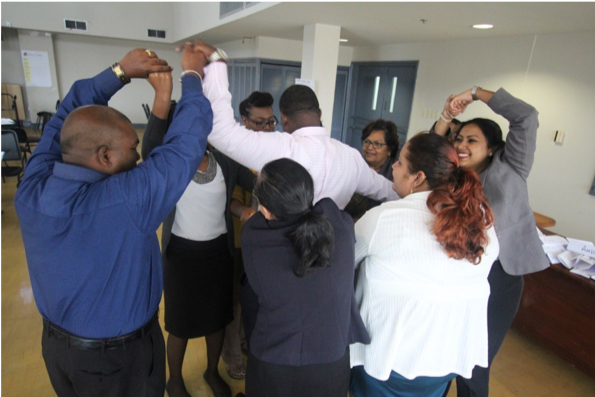 CIDT’s project coordinator, David Meechan, visited Trinidad and Tobago and Guyana in April 2018 to deliver the Train the Trainer module, working with Nana Hesse-Bayne, a long standing regional associate based in Trinidad. The training unpicked methodologies of training delivery, encouraging participants to try out participatory style training through peer-based training practice. 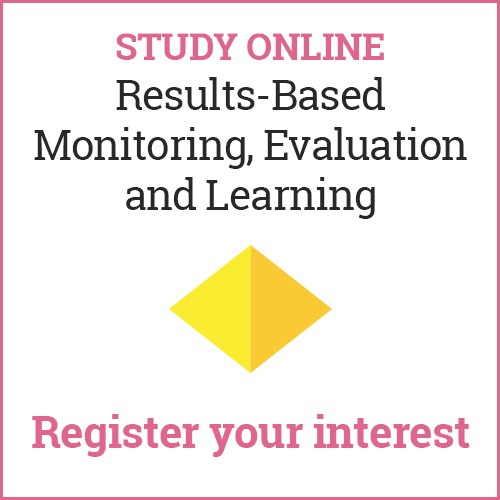 Eight weeks following completion of the face to face modules, participants are invited to attend a follow-up webinar. The webinar serves as a refresher and checks in on progress towards implementation of participant action plans. The ambitious training project has ten more countries to reach before the end of 2018 but is now off to a flying start! The Caribbean Development Bank is driving a wide transformation agenda to catalyse the change needed if the Region is to achieve the Sustainable Development Goals by 2030. To enable more effective management of policy, programmes and projects and contribute to addressing the regional implementation deficit, the Bank is executing a Public Policy Analysis and Management (PPAM) and Project Cycle Management (PCM) Training programme, to which CIDT are contracted as the PCM training consultants.